Spence embodies authentic country; she has an incredible knack for enchanting listeners with her sweet soprano and emotional lyricism. Women are the face of the true country music revival. For every Chris Stapleton, you’re raised a Miranda Lambert, Maren Morris, or Kacey Musgraves -- all procurers of music that has often been depicted as achingly country despite sonic breaks into influences ranging from folk to rock and blues. Why? For an unmitigated drive to tell a story about something full of more depth than pickup trucks, chicks, and red solo cups. Deftly riding that line between country and folk styles this time around is Caroline Spence. 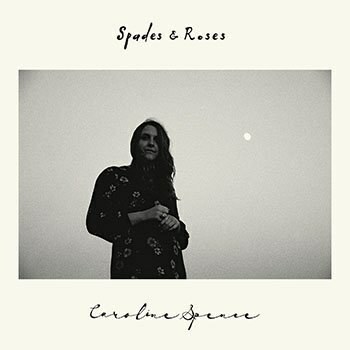 She does so with a crystalline, wispy voice that is capable of immediately captivating prospective listeners into her new record, Spades & Roses. In many ways, her second album evokes a compelling vibe similar to the type that seasoned country performers along the lines of Dolly Parton or Emmylou Harris. This rings true from the acoustic opening riffs of “Heart of Somebody” on through the lilt in her voice on ballads like “All the Beds I’ve Made” and album closer “Goodbye Bygones”. Nashville is home to thousands of musicians trying to be the next big thing, but few truly live and breathe Tennessee in their music. Spence is authentic country, no ifs, ands, or buts about it.